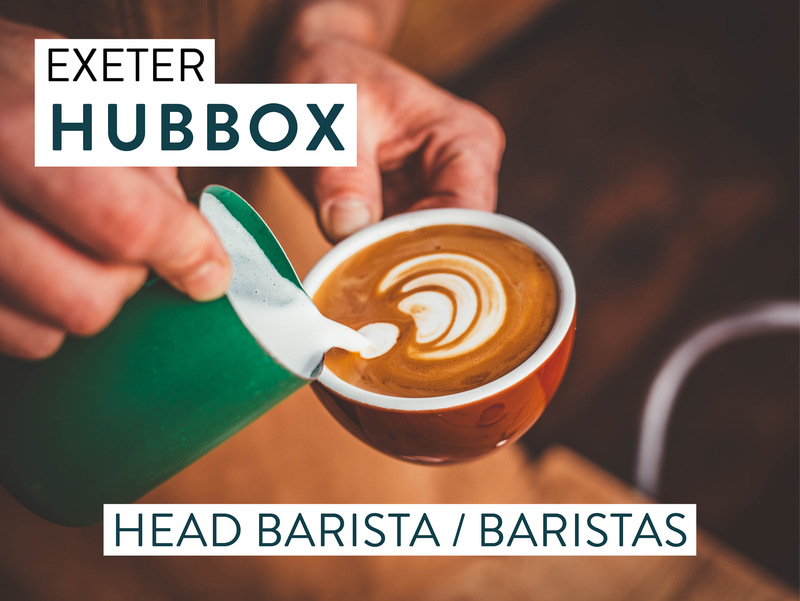 WE ARE LOOKING FOR AN AWESOME HEAD BARISTA AND BARISTAS FOR OUR BRAND NEW HUBBOX IN EXETER. YOU WILL HAVE HAD EXPERIENCE WORKING AS A HEAD BARISTA OR BARISTA IN A BUSY ENVIRONMENT. PASSION FOR GREAT COFFEE AND SPREADING THE LOVE FOR GREAT COFFEE AMONGST OUR TEAM AND CUSTOMERS IS ESSENTIAL. Our suppliers, Origins Coffee Roasters, source the most distinctive coffee from around the globe, pay a fair price to farmers in the interest of sustainability and import in ‘Micro-lots’ to roast back home in Cornwall to ensure the coffee is always fresh and always changing. For the right candidate we are offering great rates of pay starting at £8.00 an hour. • Excellent career opportunities within a growing and dynamic company. • Great company incentives and rewards. • Great rates of pay and flexible working hours. Share of Tips. • Paid time to work within the local community and charities.